Whistler is world famous for its skiing and snowboarding during winter time as it has been consistently ranked as one of the top ski resorts in North America. Even I am a huge fan of going to Whistler in winter and spring time when the snow is still aplenty at the top. I had been to Whistler before in fall as well for some ziplining and another time in summer during a stopover for a roadtrip. 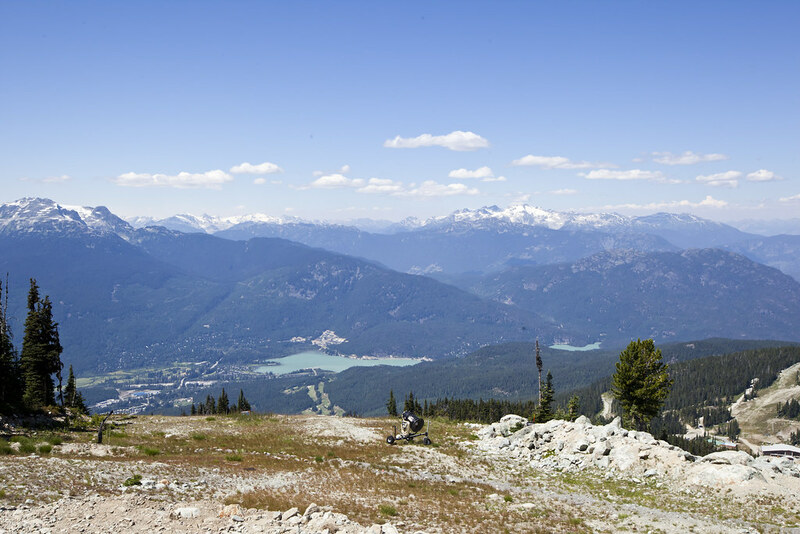 This summer, Whistler included a day of summer sightseeing when I purchased next year’s Edge Card which gives me 5 days of skiing and snowboarding. And I was able to get some friends to go along for the hike up in Vancouver’s famous mountain resort – Whistler. 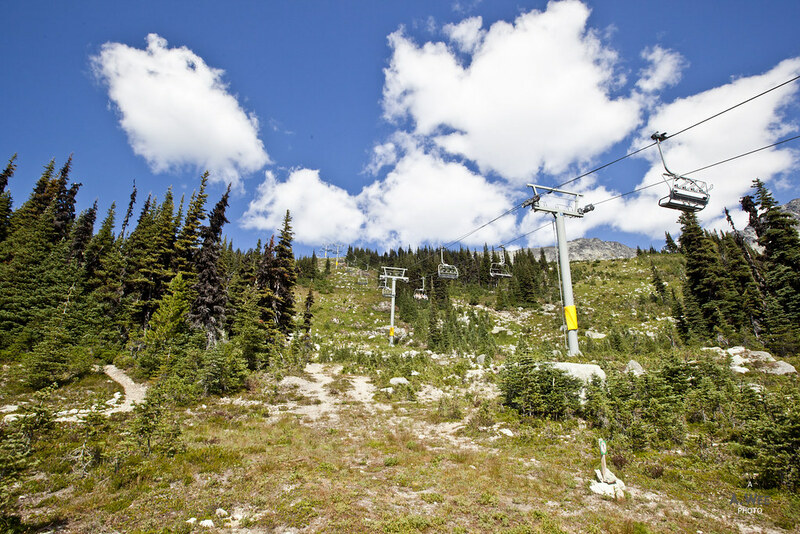 Prices for the Peak 2 Peak 360 Experience costs C$54.95 plus taxes per adult and gives them the ability to explore the hiking trails in Whistler and Blackcomb. 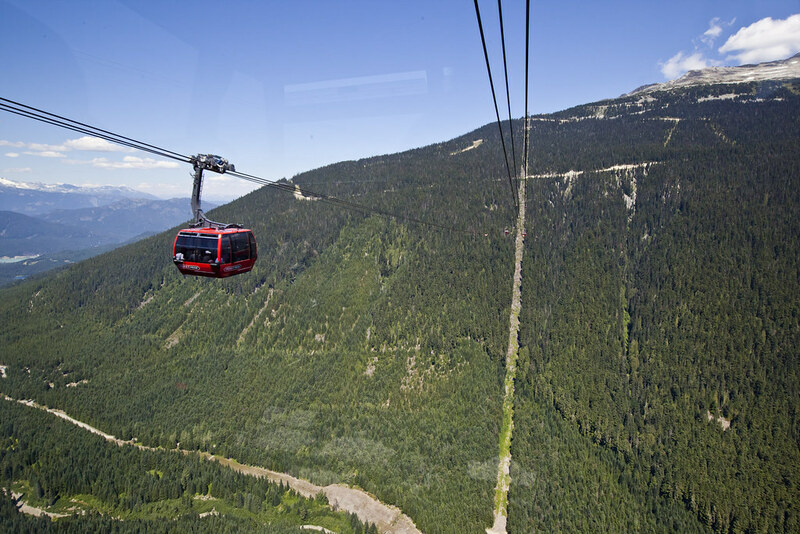 If I could talk about one of the biggest attractions for travellers to Whistler, it would be the Peak 2 Peak gondola. This is an engineering marvel in its own right that Whistler Blackcomb actually has a series of videos showcasing their construction. It was even featured in one of those feats of engineering videos. 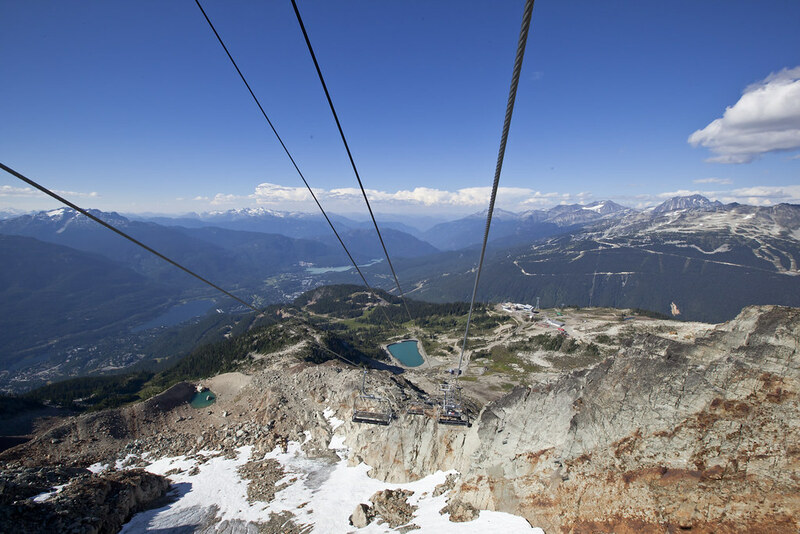 Having taken the gondola numerous times, it is what differentiates Whistler from any other ski resort in North America. Nothing is more convenient than the ability to access 2 huge mountains at once, allowing skiers to switch runs in matters of minutes. Yes the whole ride is just about 20 minutes including waiting time. The Peak 2 Peak gondola was what we took to get to Blackcomb Mountain as we started the ride on Whistler Gondola which was the only one open in summer. That brought us to the Roundhouse Lodge where we transferred to the Peak 2 Peak to get to Blackcomb Mountain. Originally I had wanted to get to the 7th Heaven area but it was too late to get on the bus, so we just did the Overlord Trail hike which allows us to get a peek of the 7th Heaven express. Hiking in Blackcomb was quite different, and although it was sunny, the cool mountain air made the hike much more comfortable. 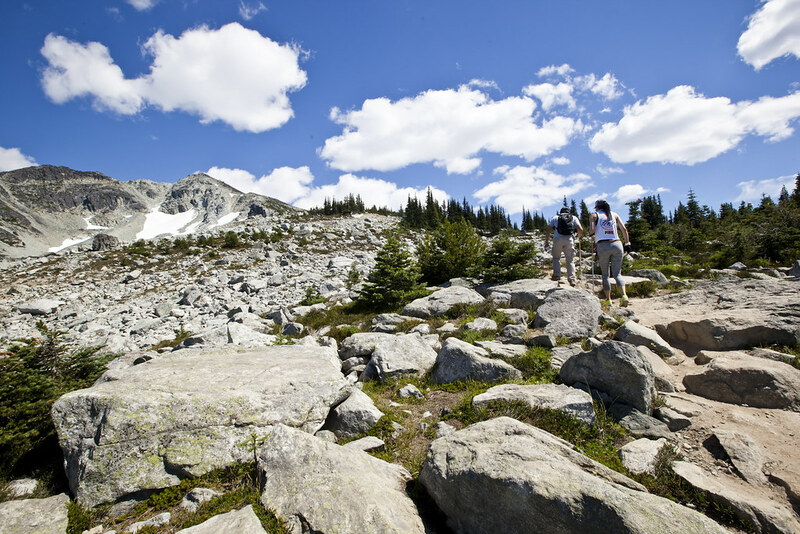 A scenic trail with amazing views of Whistler mountain also made the hike bearable as it goes through rocks and cliffs. 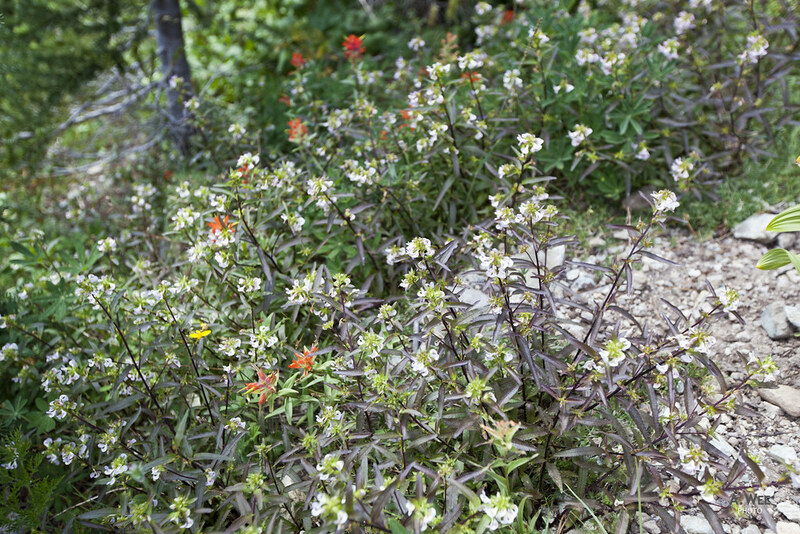 What made the hike special was also the wildflowers along the hiking trail that adds to the allure of hiking up in the mountains! Hiking in the alpine could get slightly more strenuous due to the lower oxygen level higher up in the mountains and bringing a light windproof jacket is recommended when walking along these trails. 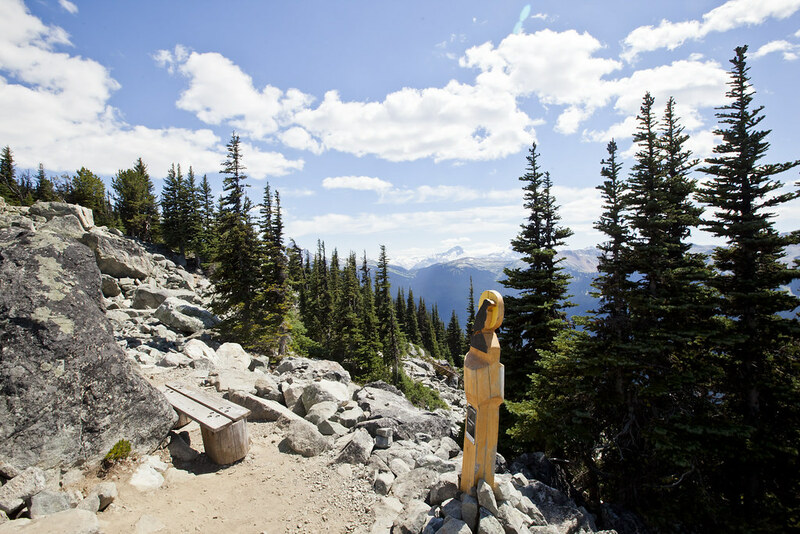 Not to worry though as Whistler places some benches on selected waypoints for hikers to take a rest, and there are enough trail information and maps along the way to make sure hikers do not get lost as this is a huge mountain after all. Most of the hiking trails during the summer are actually not that difficult with the only danger being unstable rocks so tough hiking shoes are really recommended. 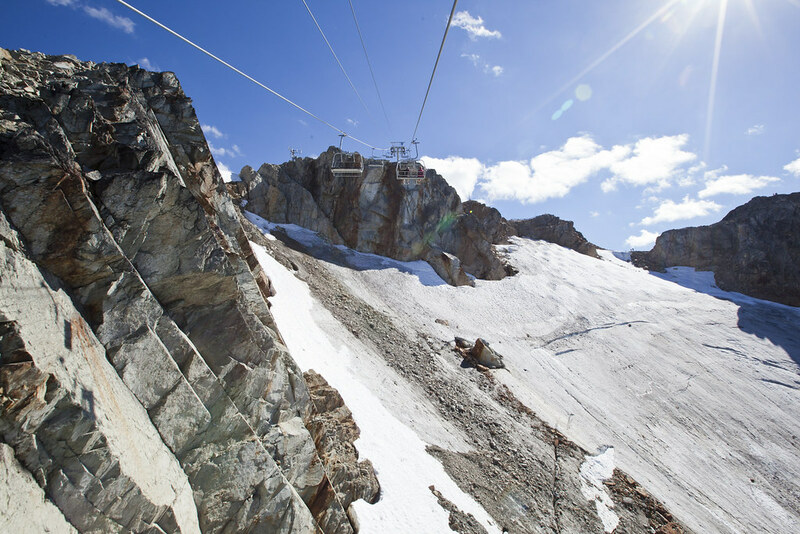 There was not that much of a strenuous ascent or descent and the highlights were the chairlifts that could bring hikers up to the peak for a bird’s eye view. While Blackcomb peak is not accessible by a chairlift, the closest day travellers could get to is probably the top of 7th Heaven express. But we did get up on the Peak Chair back on the Whistler side. There is a small downhill trail towards the Peak Chairlift from Roundhouse Lodge which skiers would be very familiar with. It was a nice way to also see the change in the landscape between summer and winter and see some landmarks the way you’ve never seen it before even though you have passed by it like it was so common! 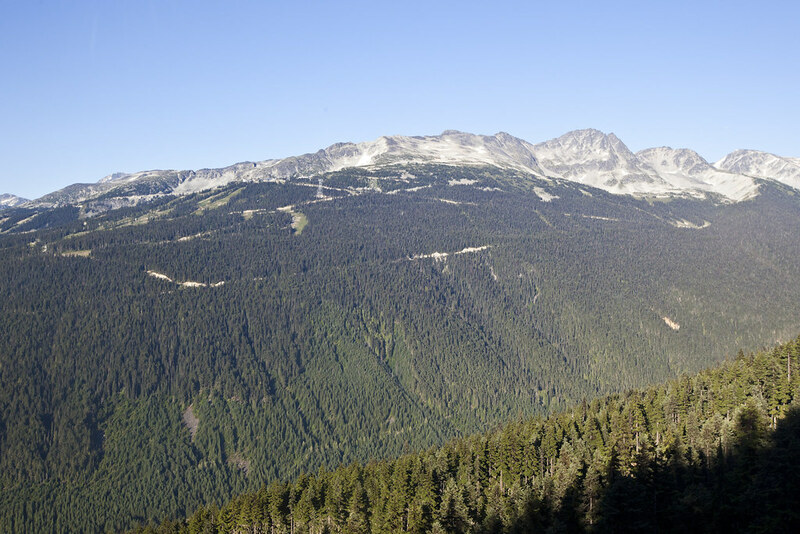 During the winter season, Whistler’s Peak chairlift has one of the most majestic views with the couloirs at the top visible from the chairlift. And when most of the snow recedes, the view also changes. Not only that, summer is probably one of the few chances to download from the Peak Express chairlift, and it offers a similarly impressive view. 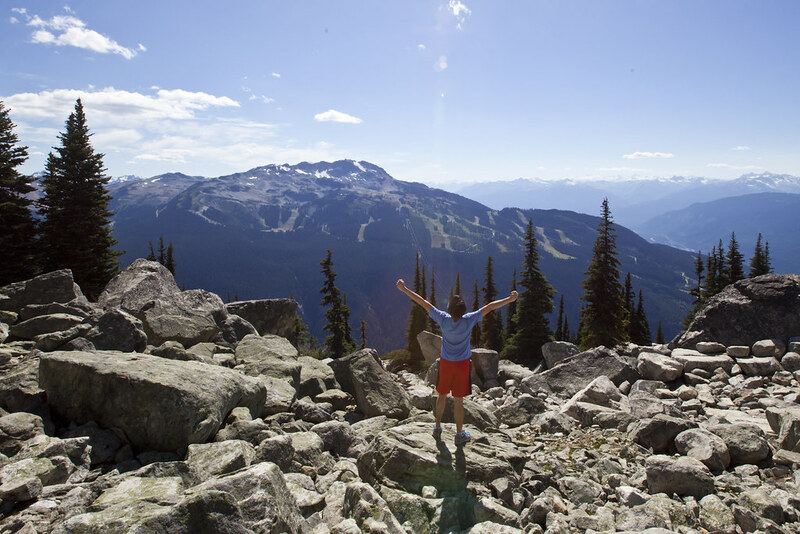 The usually sunny skies in Whistler during the summer creates a picture perfect scene at the Peak, which is why all visitors should take the chance to head to the Peak in summer! 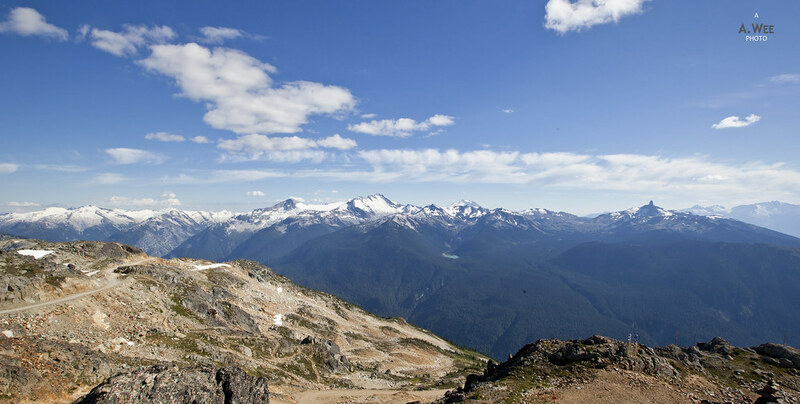 Being at the summit of Whistler is something everyone should do when in the mountains. 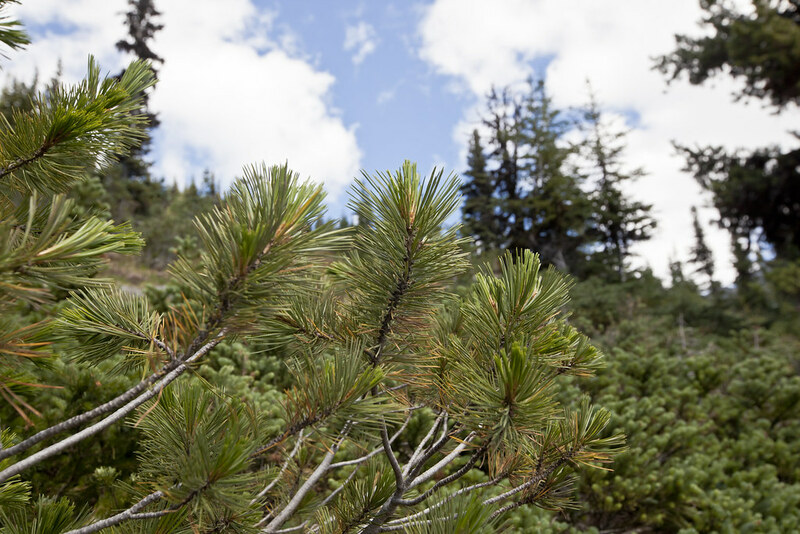 During the winter and spring season, there are green runs from the peak that will bring visitors back to the Roundhouse Lodge. 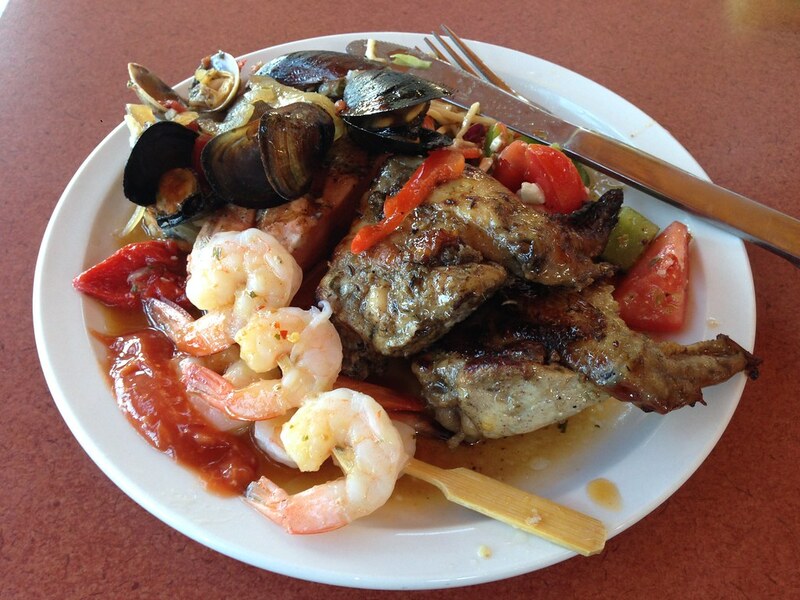 To cap the end of the day, we had a nice BBQ dinner where it was about C$36 per person though a lot cheaper if guests purchase the dinner and the summer day pass together (~C$69.95). The mountaintop BBQ has 2 separate seatings, with one at 5:00pm and another at 7:30pm for the summer, and guests must indicate the schedule which will be shown on the ticket itself. One full day would not be enough to cover all the various hiking trails and I think Whistler Blackcomb was smart in giving one free day pass to Edge Card holders as they did appeal to me to make a return trip to hike the mountain again. 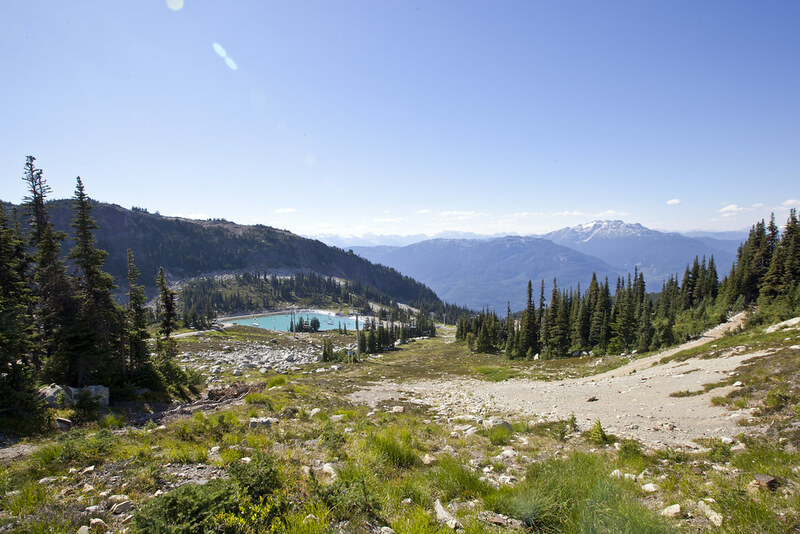 For anyone who has a chance to hike in Whistler Blackcomb, I would certainly urge them to go for it, as the experience was memorable albeit a bit pricey. 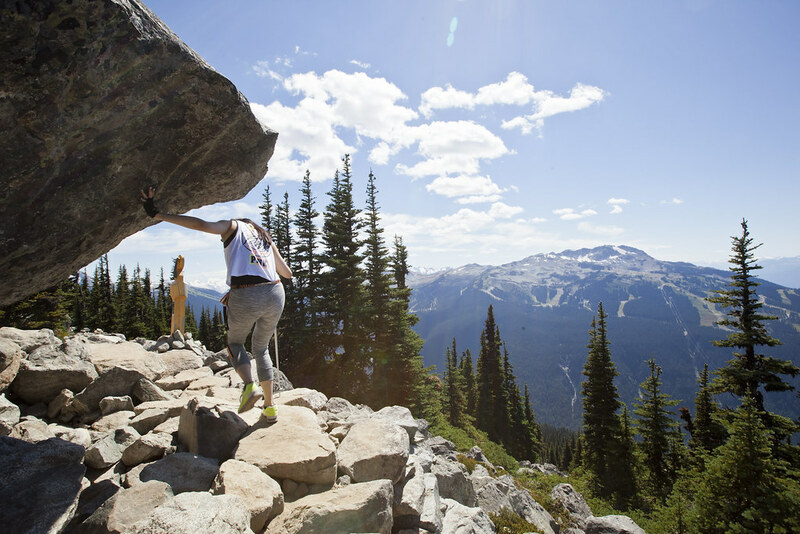 For those used to hiking in British Columbia and Banff, both of which have impressive hiking trails open to the public, it becomes less appealing to pay C$70 for a day trip to Whistler though.